Product categories of Snake Shape Bending Machine, we are specialized manufacturers from China, Snake Shape Bending Machine, Snake Shape Bender suppliers/factory, wholesale high-quality products of Column Coil Bending Machine R & D and manufacturing, we have the perfect after-sales service and technical support. Look forward to your cooperation! 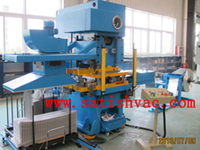 With the help of expert professionals, we are able to manufacture superior quality column coil bending machine. they are made from high quality of raw material which ensure durability at its user end. These products are available in market at competitive rates.